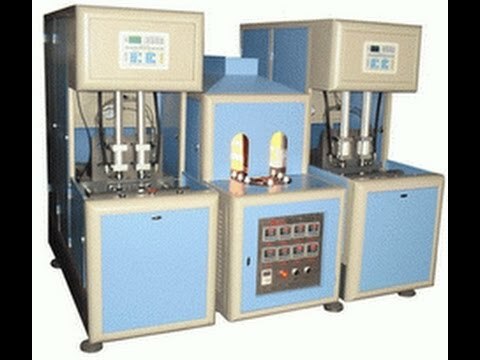 For small bottle business or business beginning, semi-automatic PET blow molding machine and its assistant machines are popular in producing 50ml - 2000ml PET bottles, flexible for producing any shape of plastic PET bottles with customers’ special requirements. With our years experience in making PET molding machine, we would provide tailored products and service to meet any meets from customers. •High efficient and accurate working ability with low investment. •Small machine dimension size and compact inner construction to save much production space. •Convenient operation and easy maintenance, only need one work to operate. •Power saved, and long service life, adopting new double crank four bars to lock moulds, the cross fixed. •Machine is adopted the world innovative and market trend-leading blowing technique, helping customer holding the most superior competition advance. •Adopt the world first-class CAD/CAM/CAE technology to improve blowing quality and develop the new products. •Have ISO9001 international quality certification to assure our perfect quality products. •More than 20 years in manufacturing blow molding machine and moulds industry. •Exported our products to Japan, Europe, South & North America, Southeast and Middle-east of Asia, over 200 countries and areas.